Most days of the week I would still be at work at this time. Today is the one day a fortnight I have off. I work an extra fifty minutes a day to have a day like today off. Once every four weeks it is a Wednesday like today. Once every four weeks it is a Friday like it will be in two weeks time. Today was a home day. The morning was breakfast and the paper. The day was some cleaning, some planning, some reading. A salad I liked so much I will make it for lunch tomorrow. And a slice of cake. This cake. So very easy and will be made many times again. 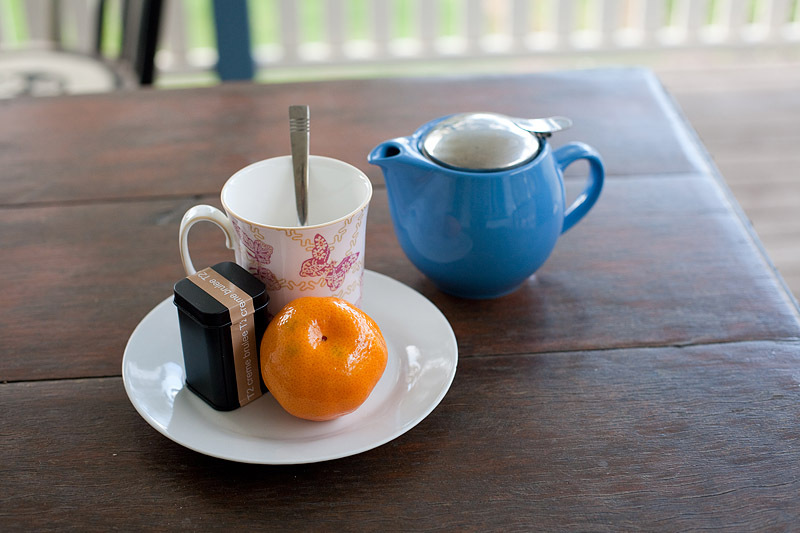 A mandarin and a pot of tea.